The College, Academy, and Charitable School classrooms were housed in the “New Building,” located at Fourth and Arch Streets from 1751 through 1801. 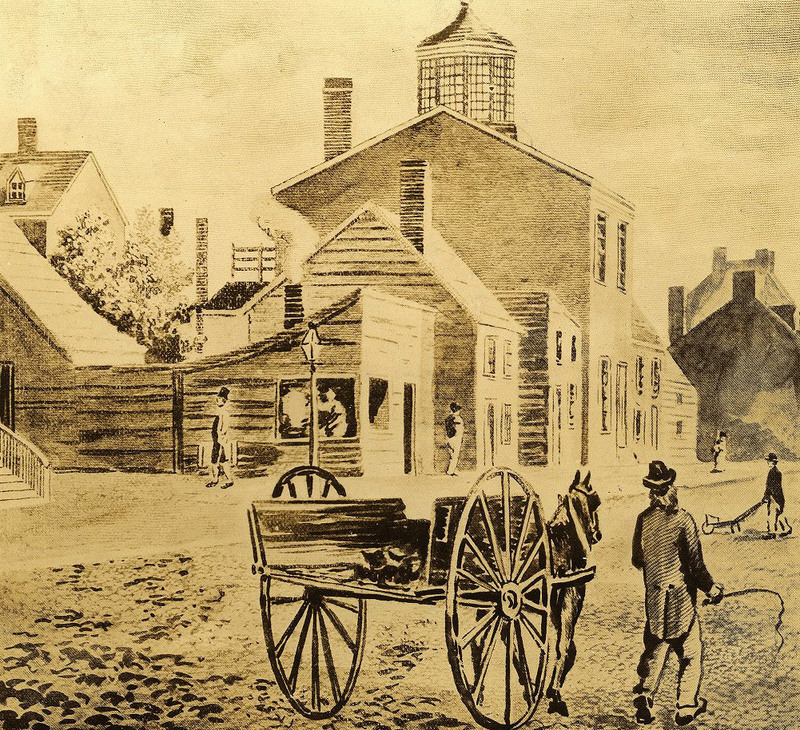 This building was even larger in size than the State House (now Independence Hall). It had been constructed with the intention of serving as a church for the English preacher and evangelist, George Whitefield and as a charity school for the children of working people; but as interest and financial support for Whitefield’s ministry waned, the New Building was left unfinished and stood unused for a number of years. In 1750 the Trustees of the Whitfield ministry and charity school sold the property to the Trustees of Franklin’s Academy. 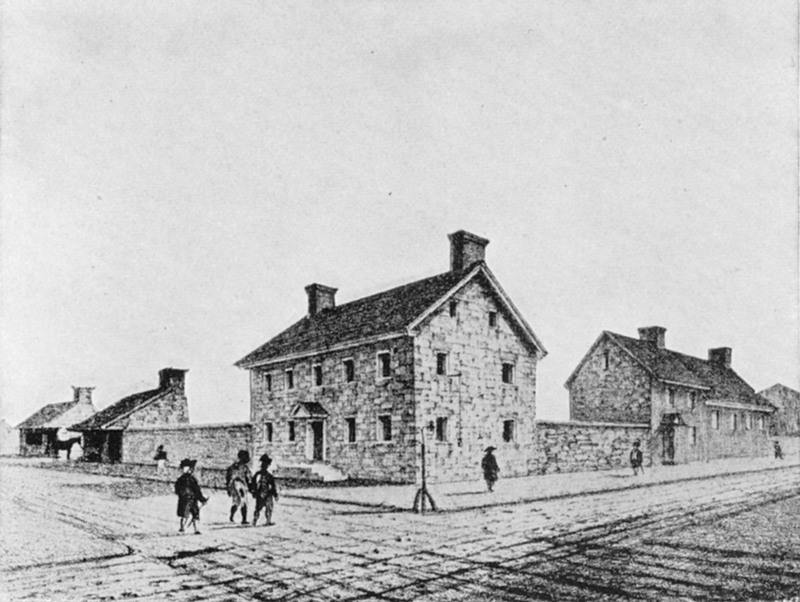 Robert Smith became the “House Carpenter” who was charged with the renovation of the structure for use as a school. The first Academy and Charity School classes were held in this building in 1751, although reconstruction continued until 1755. A dormitory building was added at this location in 1763, housing the Charity School on the ground floor and dormitory rooms on the upper floors. 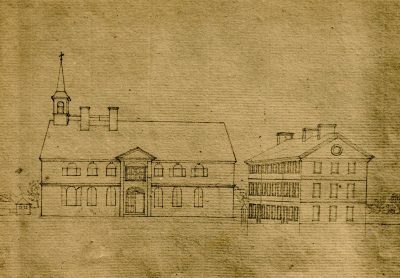 Shortly before the American Revolution a third building was added to the campus, a three-story residence built for Provost William Smith at the corner of Fourth and Arch Streets; a description of the plans for this house is found in the Trustees minutes for March 15, 1774. 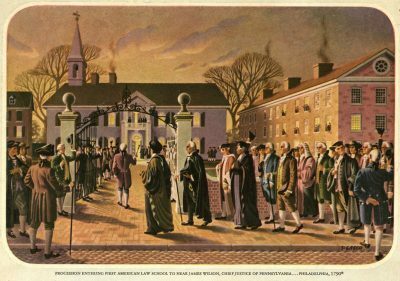 In 1779, the Revolutionary Pennsylvania state legislature revoked the original charters and granted a new charter, which renamed the institution as the “University of the State of Pennsylvania.” The College, Academy and Charity Schools continued to occupy the Fourth Street Campus until 1789. In that year, the former Trustees of the College took control of the campus for the second time. 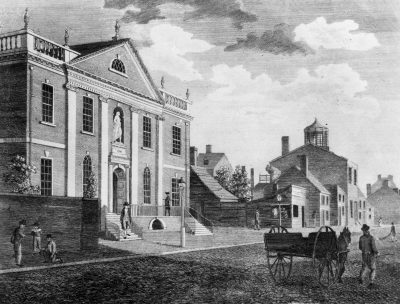 The displaced University of the State of Pennsylvania briefly leased the Hall of the American Philosophical Society. 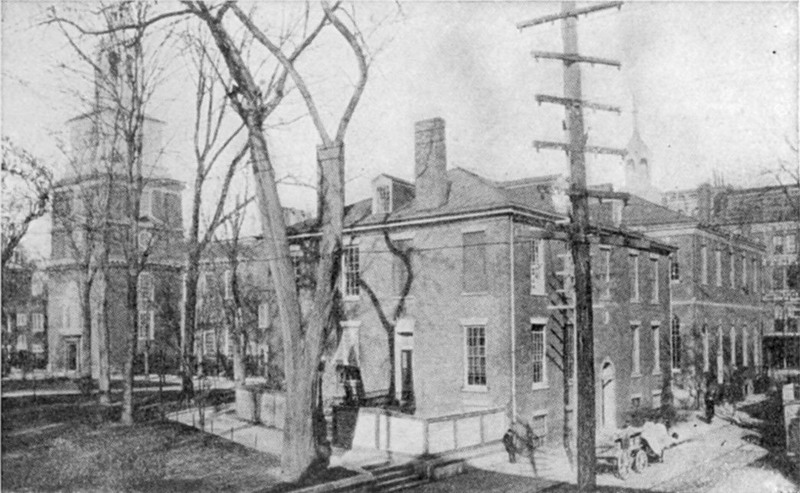 After the 1791 union of these two institutions as the University of Pennsylvania, all educational activities were reunited at Fourth and Arch streets. 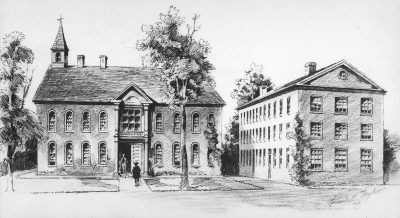 From its founding in 1765 until 1801, classes in the Department of Medicine were conducted, not on the Fourth and Arch Street Campus, but in Surgeons’ Hall, on Fifth Street near Walnut Street. Even after the University of Pennsylvania moved to Ninth Street in 1801, the Academy and Charity School continued at the Fourth Street site until 1877, and the University retained ownership of the property until after World War I. However, by 1845 the original buildings had been replaced by a new church, two new school houses and several commercial buildings. 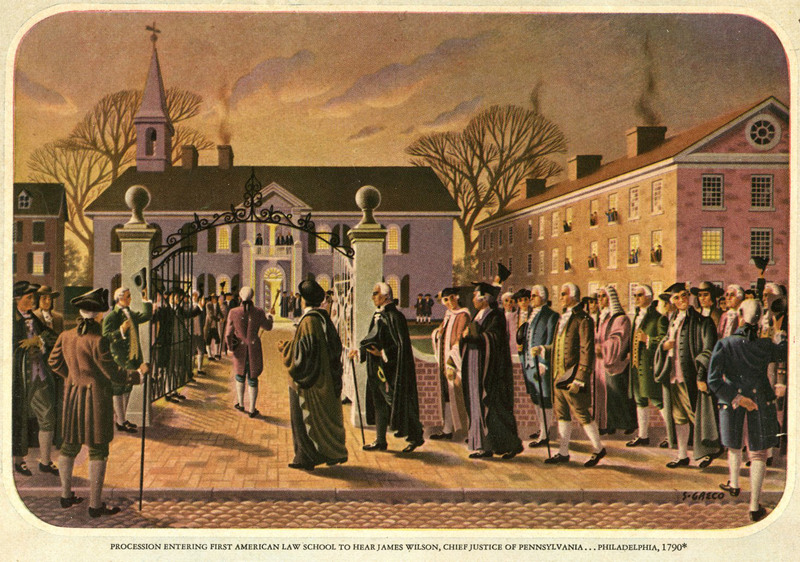 A brief history of these buildings may be found in “The Early Years: The Charity School, Academy and College of Philadelphia” prepared for the ceremony conducted by Trustees and Officers of the University of Pennsylvania on January 13, 1972, to designate the site of the original buildings and to honor the birth date of the founder, Benjamin Franklin. Fourth Street campus, College of Philadelphia: Academy/College Building (built 1740) and Dormitory/Charity School (built 1762), c. 1770. Reproduction of a sketch by French artist Pierre Eugène Du Simitière. 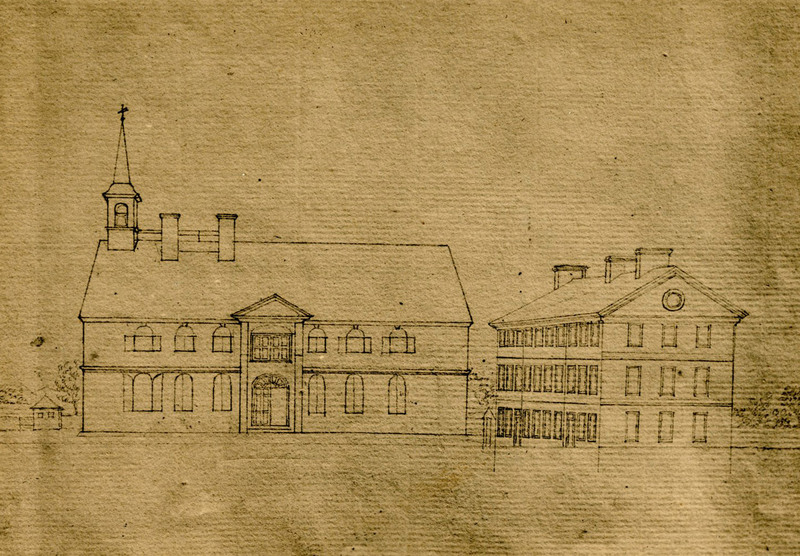 Sketch of first Penn campus at Fourth and Arch Streets by Pierre Eugene DuSimitiere, c. 1780. The original building is on the left, and the dormitory (or New Building) on the right. This is the only known contemporary view to exist. After the return of the Fourth and Arch Street campus to the trustees of the College of Philadelphia, the University of the State of Pennsylvania leased the Hall of the American Philosophical Society. 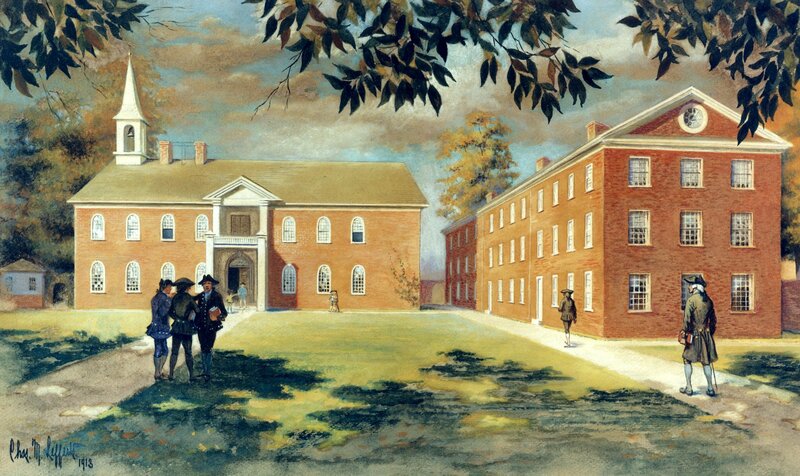 After the 1791 union of these two institutions as the University of Pennsylvania, this building was no longer needed.